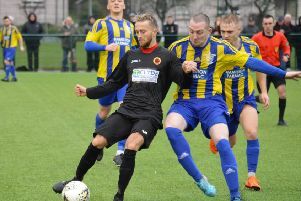 Rossvale head for Hurlford on Saturday with their Scottish Junior Cup dreams still intact after earning a replay against last year’s runners-up. 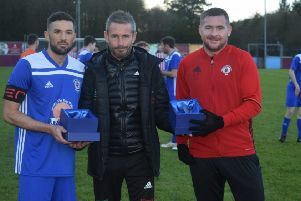 The sides’ fifth round tie at Huntershill on Saturday finished 1-1, with Vale boss Gordon Moffat feeling his Championship side acquitted themselves well against the current Premiership leaders. He said: “We knew it was going to be up there with our hardest games of the season. “But I thought we matched them in a lot of areas and deserved another crack at it. “In the first 20 to 25 minutes we probably just egded it and caused them problems. “Playing a team of quality they are going to get a spell and they did in the second half but it was pleasing how well we defended and kept our shape and discipline. “We’ve been solid defensively, and I’m not just talking about the defence but as a team, for over a year. Skipper Jamie Hunter, who missed Saturday’s tie, will be available for the replay.